For more information on advertising or to request a media pack click here. If you want to be seen, get in this magazine. 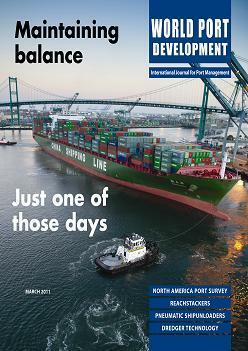 World Port Development's dedication to directly reaching the industry’s leading delegates is unmatched. This is a magazine that strives to be the best. Resting and relying on reputation is not a concept we recognise. Solely focused on what our readers want, we can take your marketing message, and deliver it straight to the people that matter. Advertisements that appear in World Port Development are guaranteed to be flanked by high-quality editorial, commanding an eye-catching space. The positive feedback we receive and our in-house reader research confirm just how intently our articles are read. 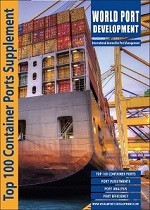 World Port Development is not an empty 'pamphlet' ignored on reception coffee tables, it is a prestigious journal read by executives and you can be sure your advertisement will be seen by the people that matter!